POLL: Do you think UTC should have fired reporter Jacqui Helbert? 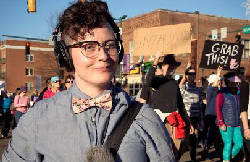 Reporter Jacqui Helbert said she feels vindicated after National Public Radio released a statement Monday condemning the University of Tennessee at Chattanooga for firing her from WUTC. "I was completely floored the moment I saw they did a response," Helbert told the Times Free Press on Tuesday. Helbert, 32, said her credibility and that of WUTC should not have been compromised by threats and actions of lawmakers and university officials. "WUTC was caught in the crossfire, they are a scapegoat just like I am," Helbert said. Several employees at UTC said local lawmakers threatened to cut some state funding to the university, complaining that Helbert did not explicitly identify herself as a reporter for WUTC, an NPR affiliate, while reporting on Tennessee's transgender bathroom bill. Helbert maintains she was wearing an NPR press badge and carrying bulky radio reporting gear, including a 22-inch fuzzy microphone she pointed at Sen. Mike Bell, R-Riceville, and Rep. Kevin Brooks, R-Cleveland, as they spoke about the legislation with students from Cleveland High School earlier this month. Bell and Brooks told the Times Free Press they never noticed a reporter was in the room and were frustrated to hear a story was aired about the meeting they thought was private. UTC first received a call from a local lawmaker complaining about Helbert's story on March 16, in advance of a planned meeting between university officials and lawmakers the next day, George Heddleston, senior associate vice chancellor of marketing and communications for UTC, told the Times Free Press on Tuesday. 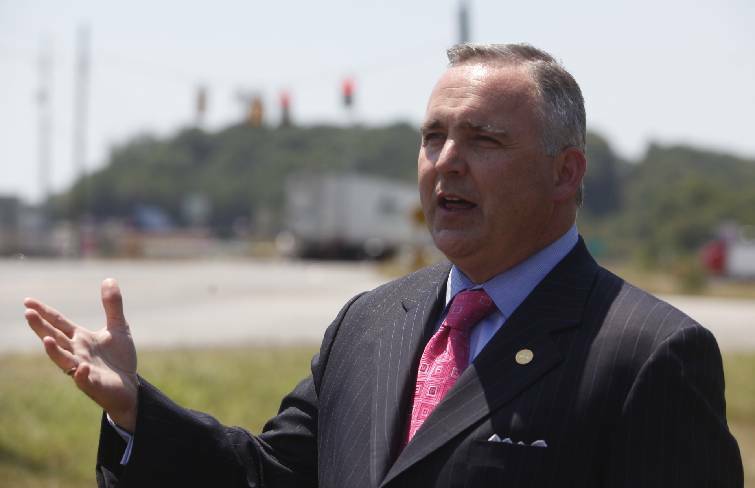 Tennessee state Rep. Kevin Brooks, R-Cleveland, speaks to the media in 2012. Heddleston said he didn't know which lawmaker called Terry Denniston, chief of staff in the chancellor's office, and said the conversation about Helbert's story "wasn't a big deal." After receiving the call on March 16, Denniston sent some questions to WUTC about the story and Helbert's reporting. "This is the first time the matter regarding [Helbert] was discussed," Heddleston said. Sen. Todd Gardenhire, R-Chattanooga, Sen. Bo Watson, R-Hixson, and Rep. Patsy Hazlewood, R-Signal Mountain, were at the meeting at UTC on March 17, Heddleston said. Gardenhire mentioned the WUTC story and said he had issues with "the journalistic ethics of the reporter," Heddleston previously stated. Heddleston said there was some "consternation" in the meeting, but "there was never really any deep conversation about [the lawmaker's] frustration." But Gardenhire said the situation was already handled before the lawmakers brought it up during the March 17 meeting. "They had already reached their conclusion by the time we started the meeting," Gardenhire told the Times Free Press on Monday. Heddleston said Tuesday he was not aware of lawmakers threatening the school's funding. Gardenhire also denied making threats about funding. Gardenhire said the entire situation was a UTC matter and he wasn't involved in the university's decision to fire Helbert. "[Helbert's] got a martyr status now, and I understand that," Gardenhire said. "She dug her own grave, and UTC [officials] are the ones that make the policy." Heddleston said Helbert was fired for violating journalism ethics. The university intervened in the situation because "the station is part of UTC's Marketing and Communications division," he added. But according to a statement from NPR officials, UTC should not have fired Helbert or removed her story about the meeting from the WUTC website. NPR also urged the university and WUTC to reach an agreement that ensures the station's editorial independence. 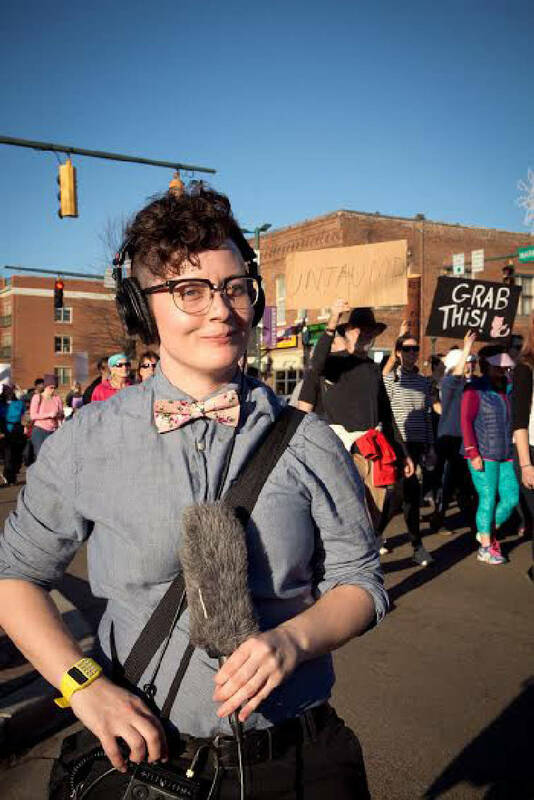 NPR officials said WUTC's editors would not have removed the story from the station's website if not told to do so by the university, and they did not view the story as "fatally flawed" because Helbert did not hide her equipment or mislead anyone. The UTC Student Activists For Equality has organized a protest and march for Helbert at 3 p.m. today outside Hunter Hall. Staff writer Andy Sher contributed to this report. This story was updated March 27 at 11:50 p.m.